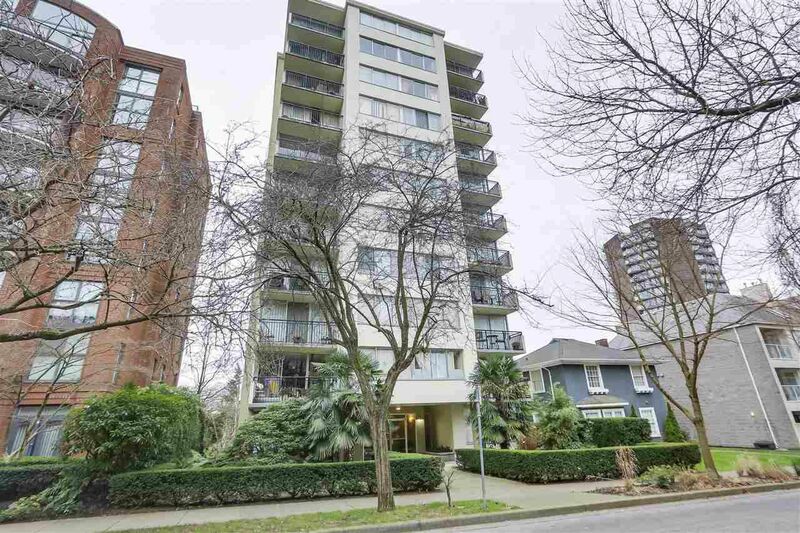 简介: Located on a quiet & tree lined street in West End. This unit has beautiful English Bay views from this corner suite facing south west and in move in condition. Perfect for investor, student or lifestyle as the price includes all the furniture, plates & cutlery. The St. Pierre is well managed & maintained with live-in caretaker, updated balconies, lobby & new door fobs, lovely gardens, nicely painted outside. This Concrete leasehold property has been pre-paid until 2073. One Block to Sunset Beach, English Bay, Parks and Seawall. Maintenance Fee includes caretaker, property taxes, garbage pickup, heat & hot water. Parking can be rented for $100/month-at the moment there is a 2 person wait list.. Rentals allowed – no short term. Small pets allowed w/approval-dogs max 30 lbs. 35% down payment required for financing. Call to view! No rental restrictions.